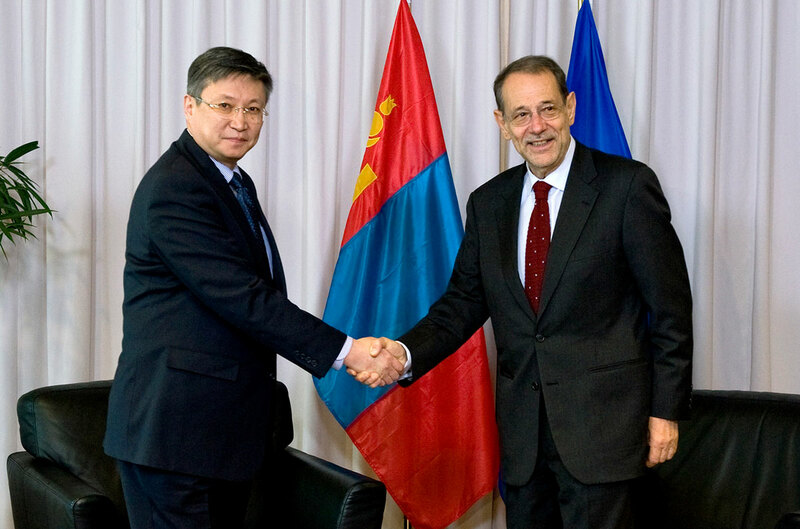 In March 2009, former EU High Representative Javier Solana meets the then-Prime Minister of Mongolia, Sanjaagiin Bayar, who oversaw the expansion of the Mongolian energy sector before leaving office in October 2009. 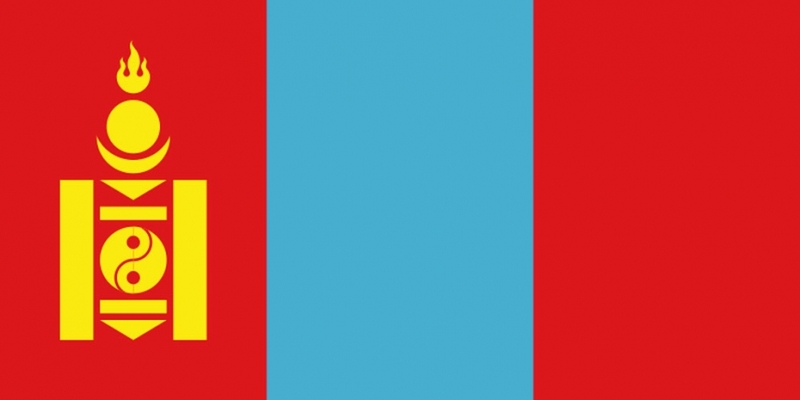 The flag of Mongolia, a country which has been trying to expand and improve its energy sector. 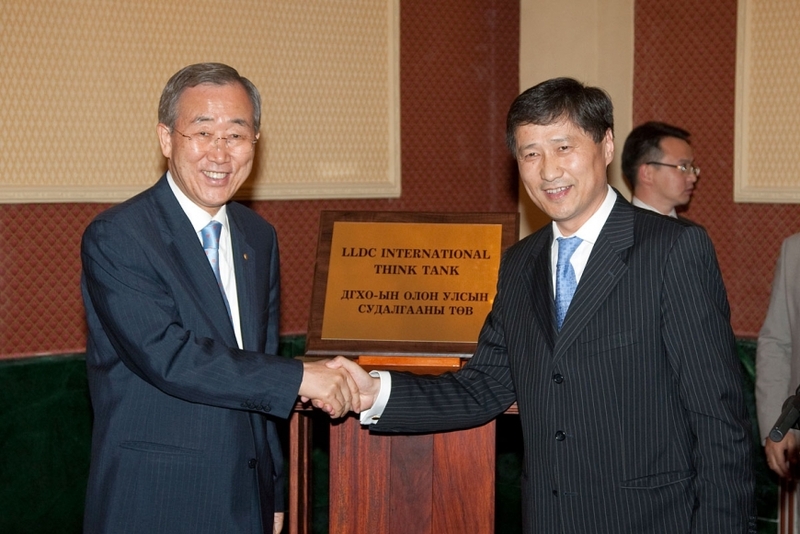 Secretary-General Ban Ki-moon (left) and current Mongolian prime minister Batbold Sukhbaatar (as Minister for Foreign Affairs), at the July 2009 opening ceremony of the “Think Tank on Trade and Landlocked Developing Countries” conference. 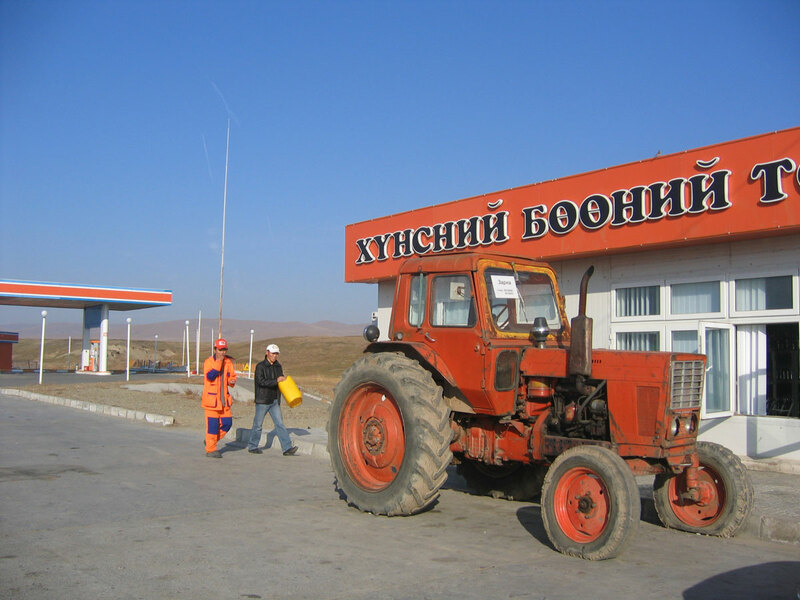 Mongolia has been focusing on expanding its energy trade in the country, with several new projects underway. 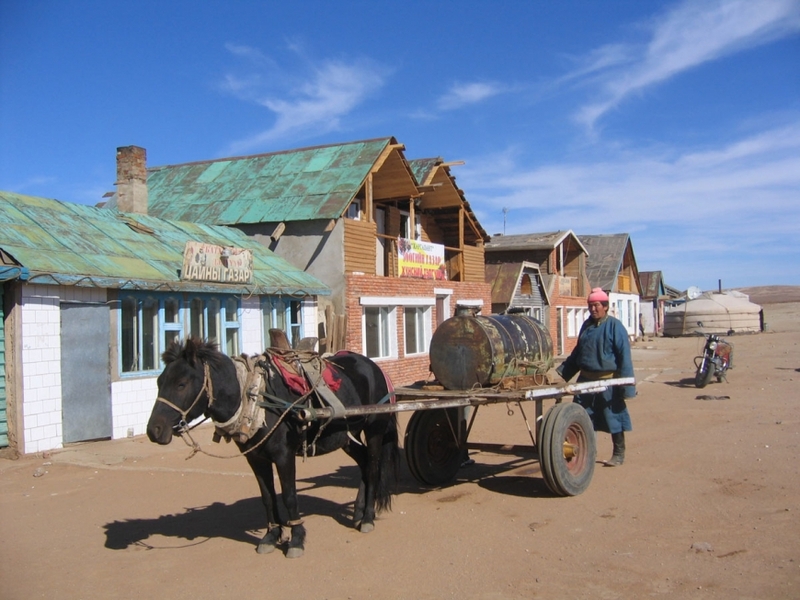 Mongolian herders are anticipating a windfall from oil drilling in several provincial fields. 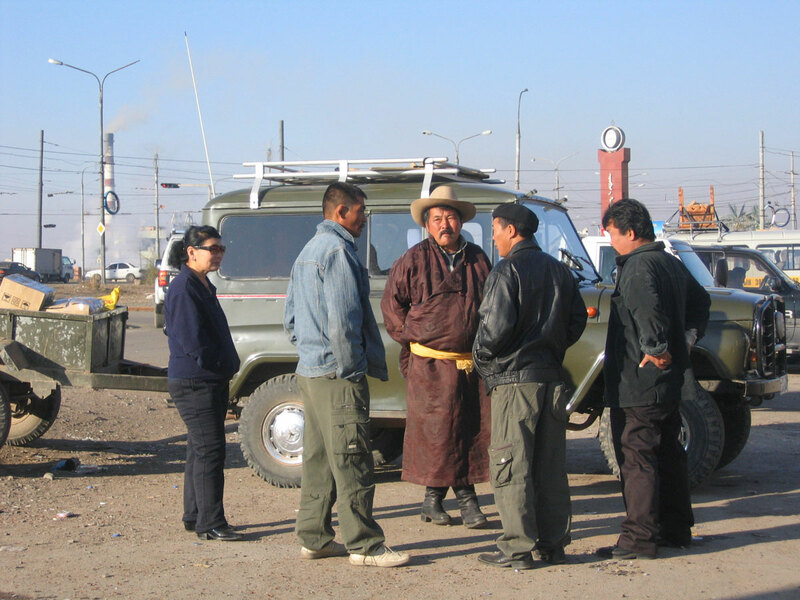 Infrastructure will be a challenge for foreigners investing in energy projects in Mongolia, where transport links remain primitive.